One of the best ways to learn is to watch someone else do it. 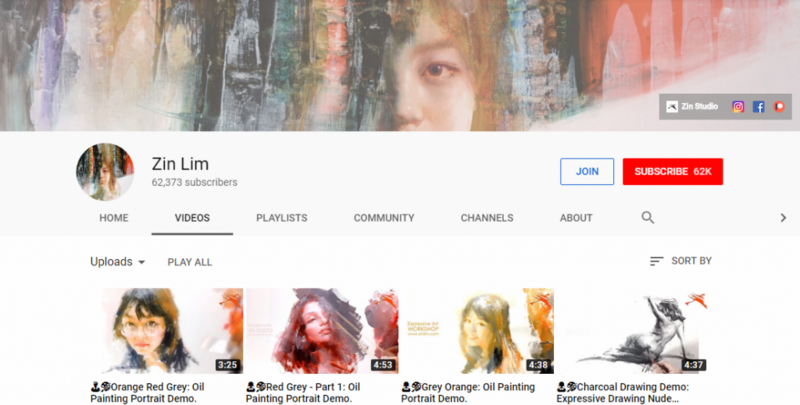 In this article you will find a list of the most recommended art channels on YouTube. 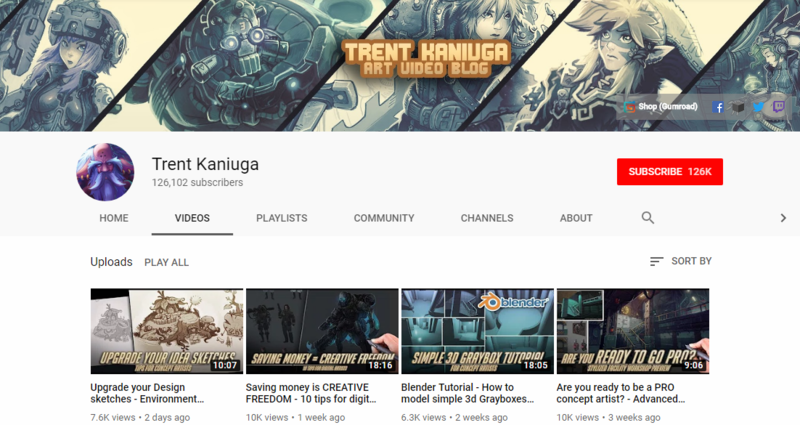 What is an art channel? 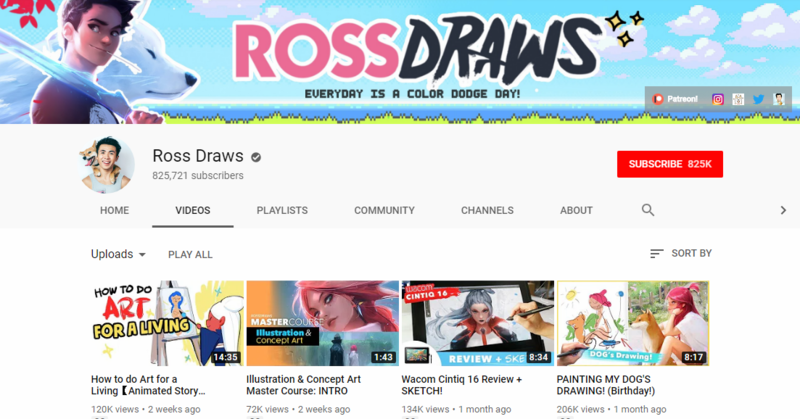 As the name suggests, it’s a channel generally dedicated to art, painting, drawing, sculpting and often animation (made by the channel’s owner). 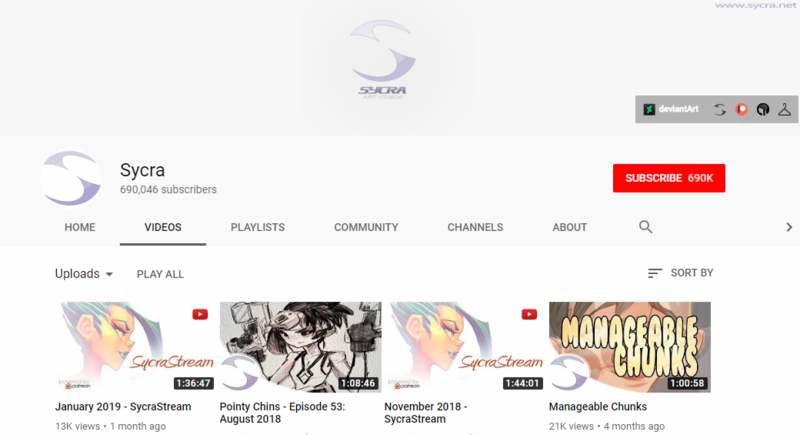 On such channels, you can often find recorded processes of creating an artwork, mostly speeded-up, since it can take hours to create artworks (for example an illustration). It’s a great way to learn, since you can see exactly what tools and software are used to create a certain artwork. Some artists often live stream while creating art, allowing the viewers to ask questions in the chatbox. 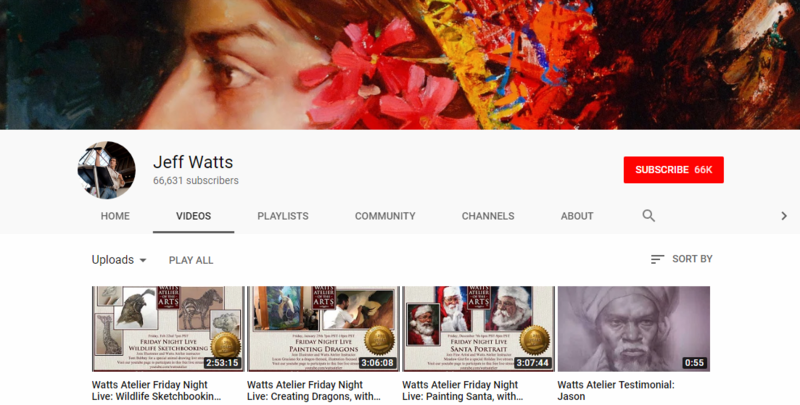 Other videos you can find on art channels are podcasts, where the host makes an interview with an artist, and overpainting videos. 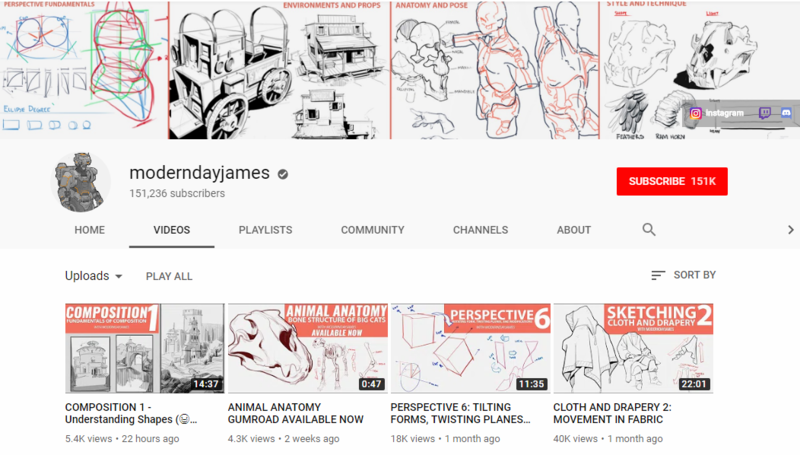 The goal of overpainting videos is to show beginners (and more skilled artists as well) how their illustration can be improved, by taking their artwork, and painting over them, eliminating all mistakes the work has (anathomy, composition, light etc.). 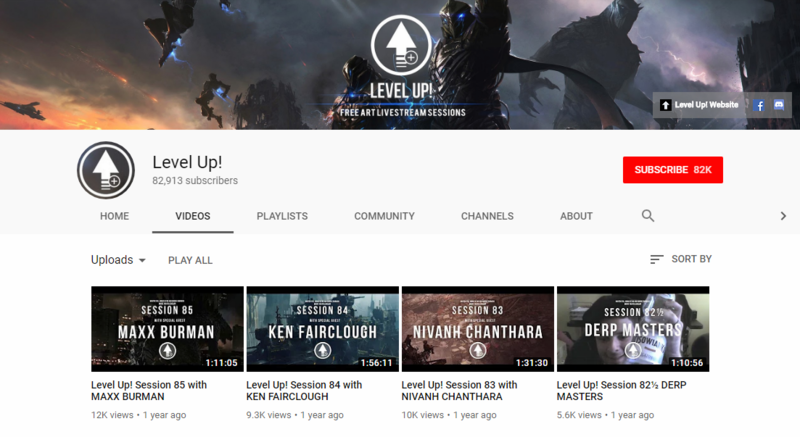 Level up!’ is an idea of two Polish artists – Wojtek Fus and Darek Zabrocki, who want to teach and learn from each other. Recently, Level Up has expanded a host team by amazing Jonas De Ro! 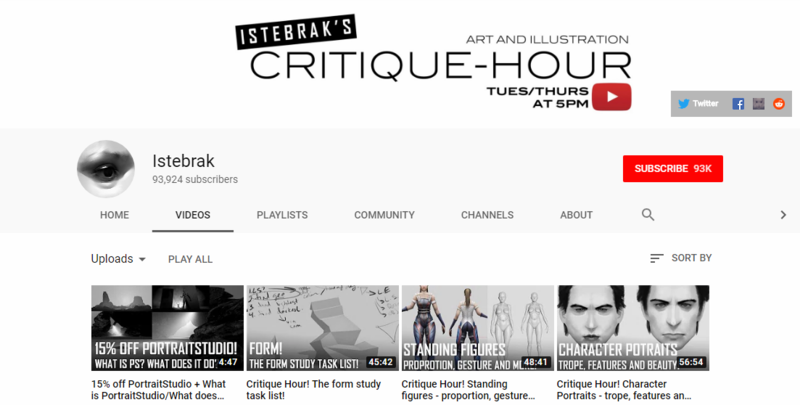 Join 2-hour long livestreams with critiques, overpaintings and Q&A’s. It’s free and open for everybody! 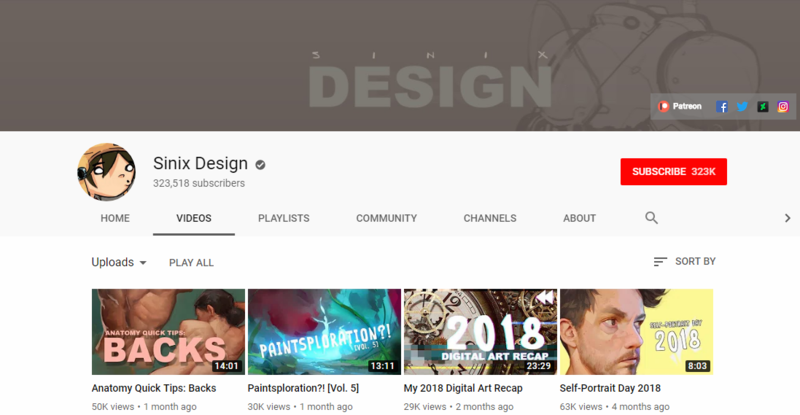 An art channel hosted by Stan Prokopenko. 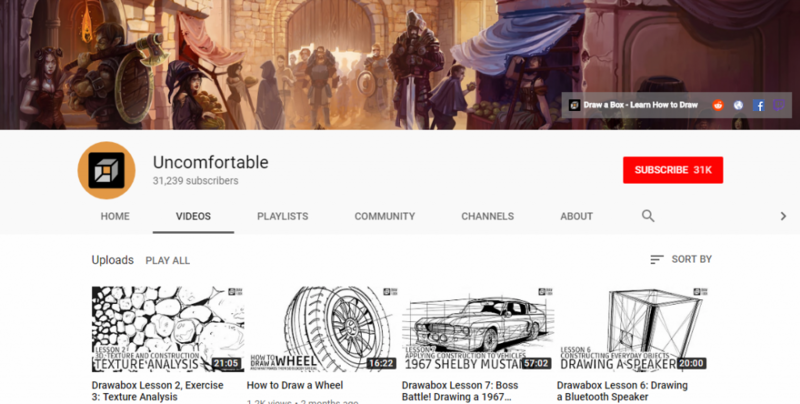 Proko is a resource for artists to get good art instruction videos. 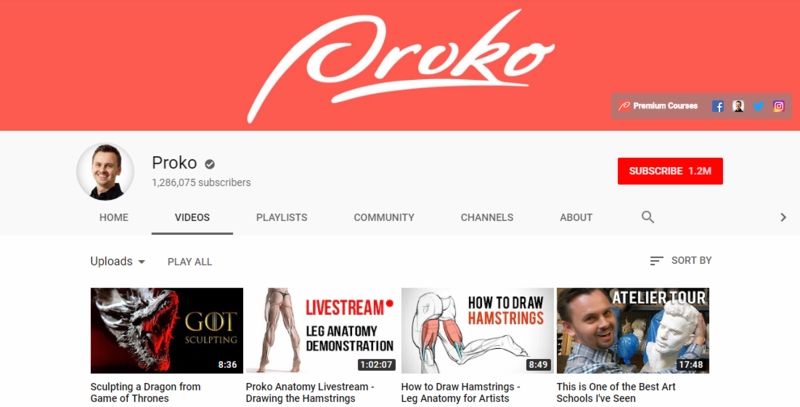 When you watch Proko tutorials you’ll notice that he tries to make them entertaining while keeping them educational – if you’re having fun and enjoying the learning process, you learn better. You retain more information, you pay more attention, you’re much more likely to continue learning and more likely to go back and re-watch tutorials. And it will leave you more inspired and motivated to go practice. 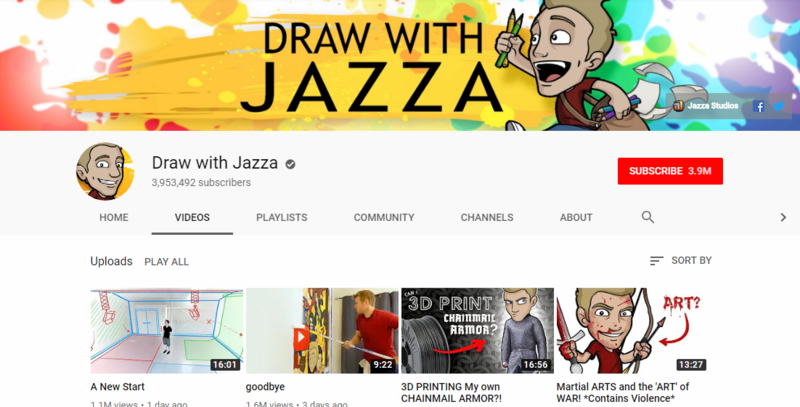 DrawWith Jazza is a place where Josiah Brooks celebrates art, creativity, and community whether it’s ambitious art projects or ridiculous challenges, make sure you subscribe so you don’t miss out any of the fun. 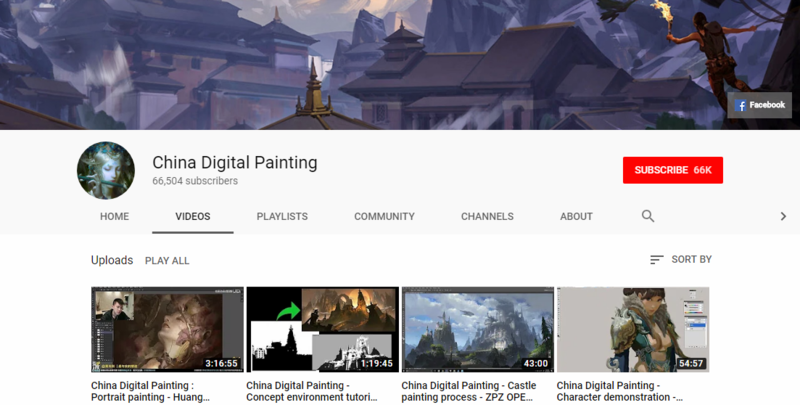 An art channel dedicated to gathering painting processes made by Chinese artists. 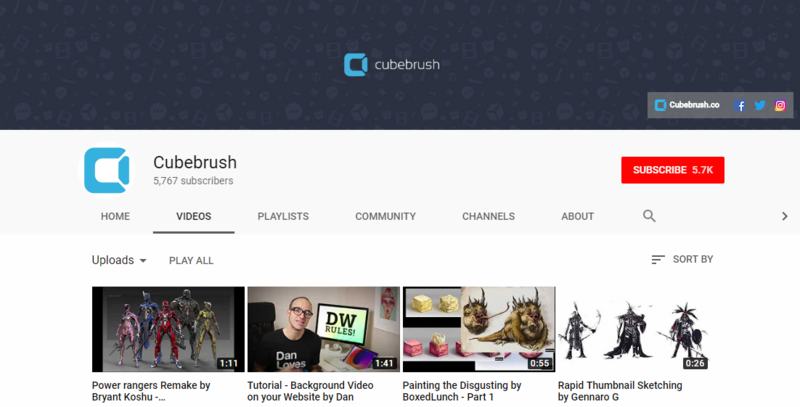 This channel is mainly in support of the Crimson Daggers online art community featuring interviews with industry veterans and tutorials/general advice from Dave Rapoza. 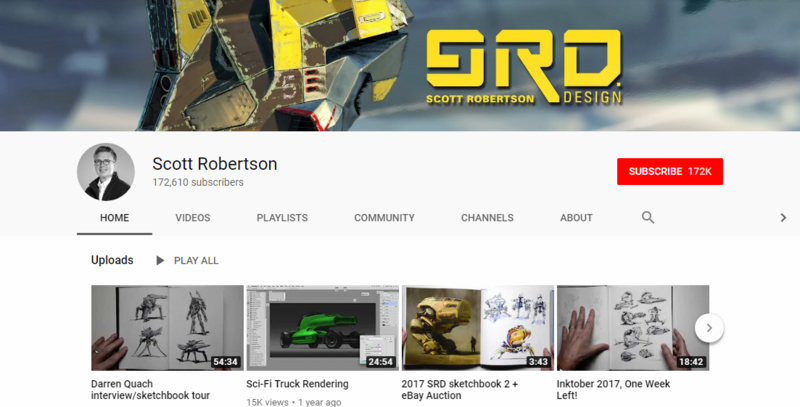 Here Scott Robertson shares some of my lectures and tutorials that highlight the thinking and techniques used to create books for Design Studio Press. 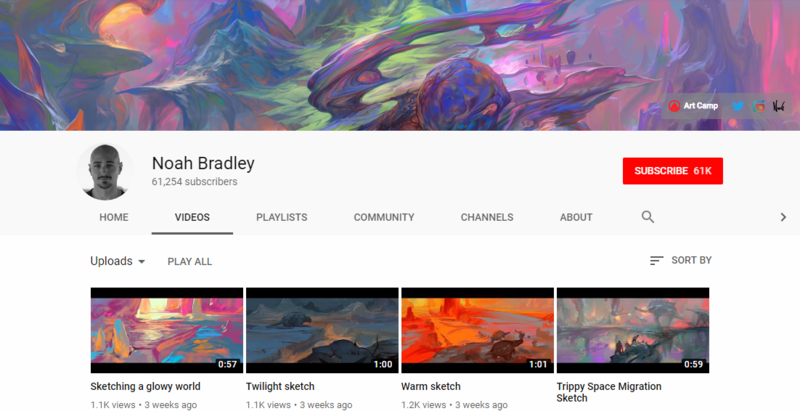 Noah Bradley is an artist and founder of Art Camp that helps artists all over the world learn to make better art. 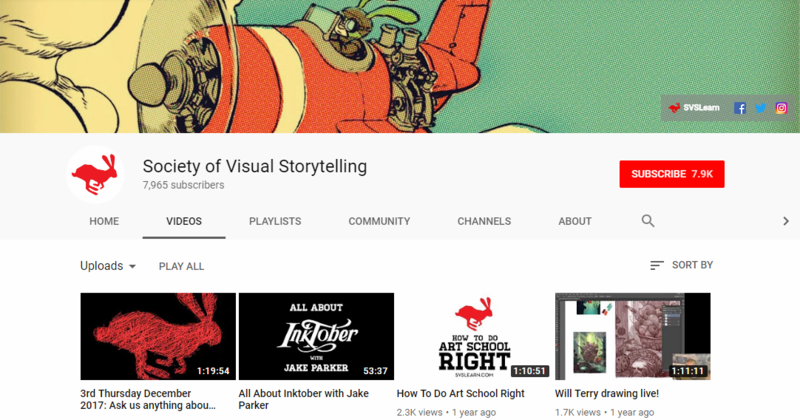 Currently, he’s writing a book called How to Be a Creator that releases early in 2019. 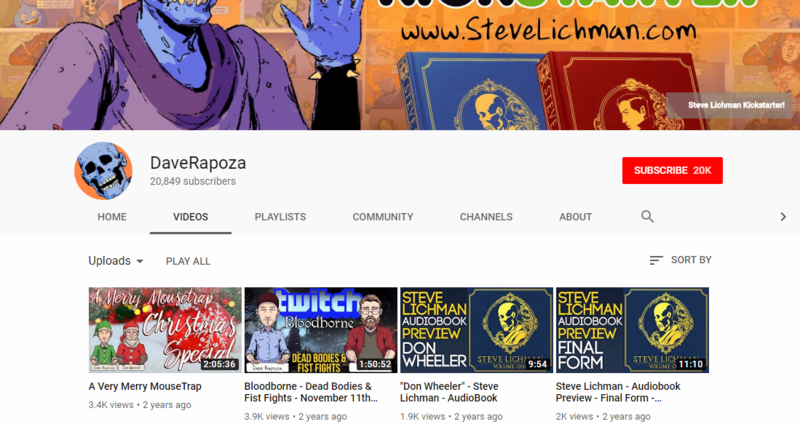 He also hosts a podcast with his wife called Creators Chat. 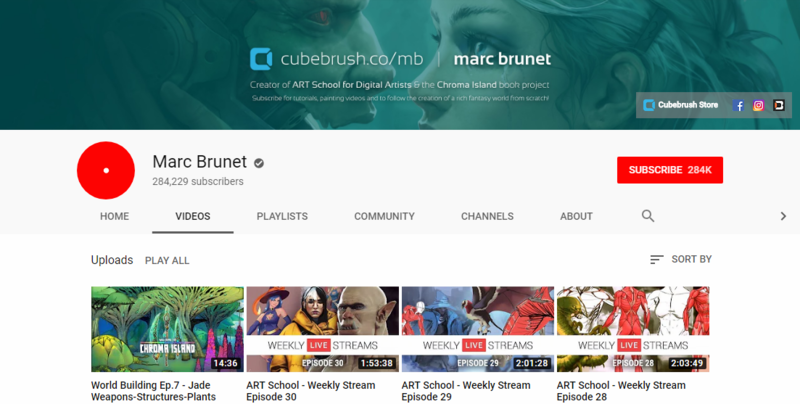 They make awesome art tutorial videos for artists of all skill levels! 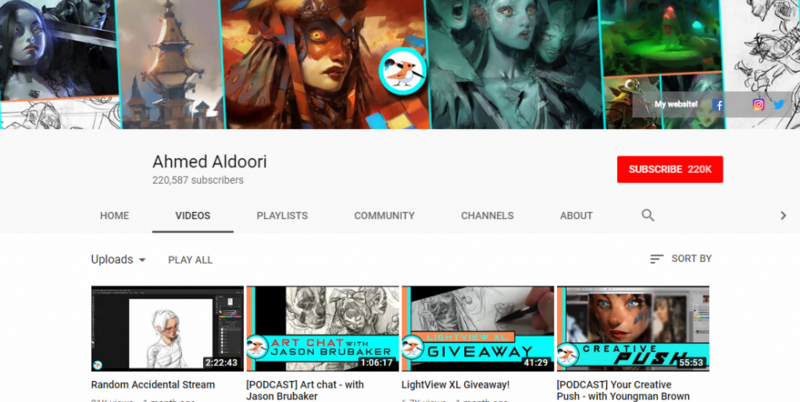 If you want to bring your art game to the next level, their professionals will teach you all the strategies and tricks that they use to be the best in their fields. Subscribe to www.svslearn.com to get access to hundreds of hours of art instruction. Sycra Yasin is an artist and art instructor currently based in Bucharest, Romania. 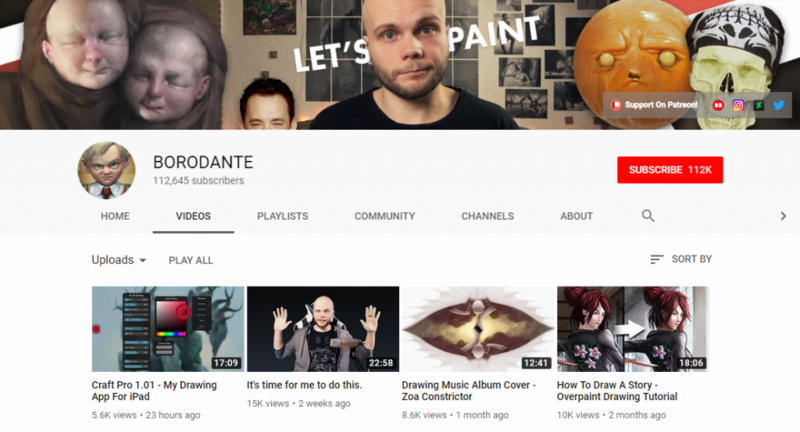 He has a popular YouTube channel where he teaches drawing and painting techniques, and takes you through his journey to develop as an artist. 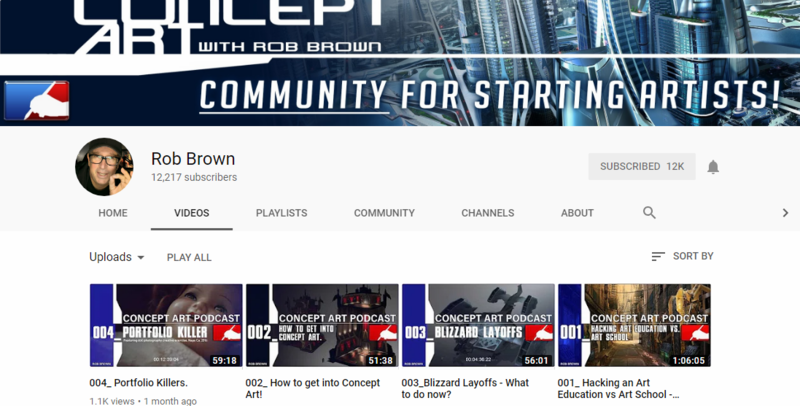 On top of his own experiences with art, he also hosts streams and interviews where other accomplished artists share their insights and experiences in the industry, in order to further the education of his viewers. 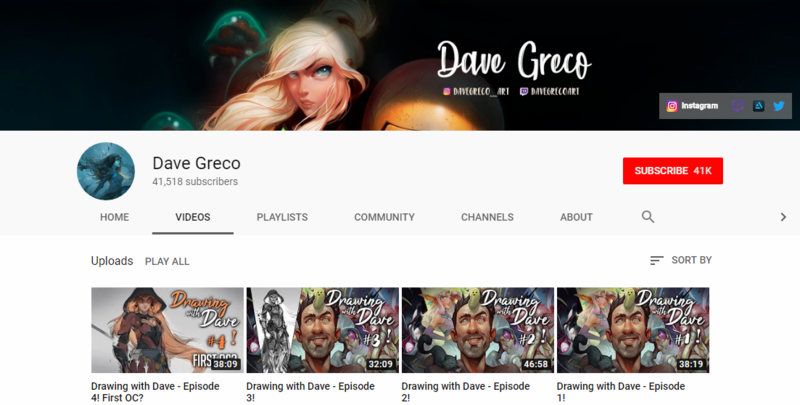 He is experienced in a wide array of artistic disciplines ranging from fine art to caricature, animation, character design, concept art, and illustration. He currently works as a freelance illustrator, and specializes in character design. Rob Brown works currently full time as a Senior Concept Artist for RIOT games. He has been a professional designer and illustrator in the digital industry over a decade. He’s completely fluent in nearly every position in environment development for games, including Art Director, Level Designer, Senior Environment Modeler, and Concept Artist. 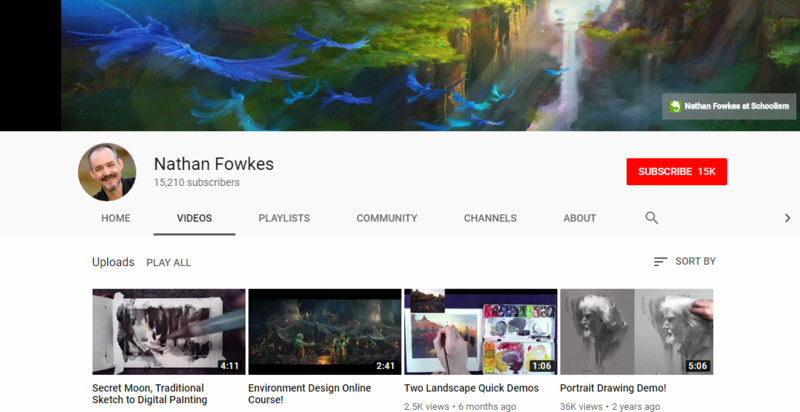 On his YouTube art channel, he posts very useful videos where he explains all details of concept artist’s work in the game industry. 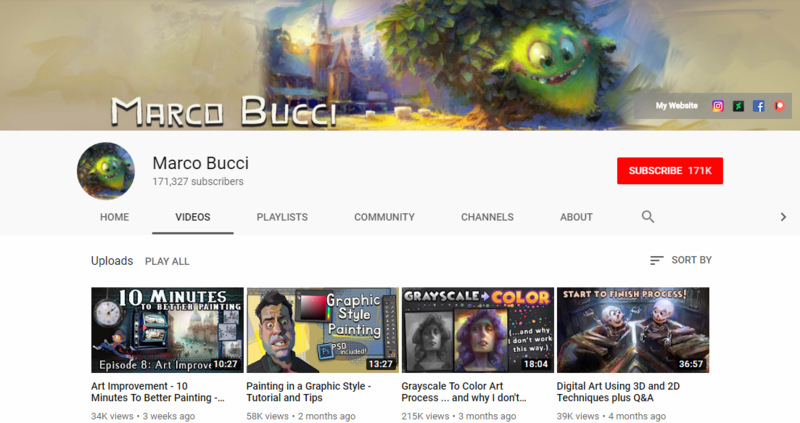 Marco’s Bucci art channel – he shares here a variety of painting tutorials ranging from painting fundamentals to illustration demos and creative psychology insights. He touches super fundamentals super duper well. You can interact with his community over there and is a very scholastic experience just as Level Up!. 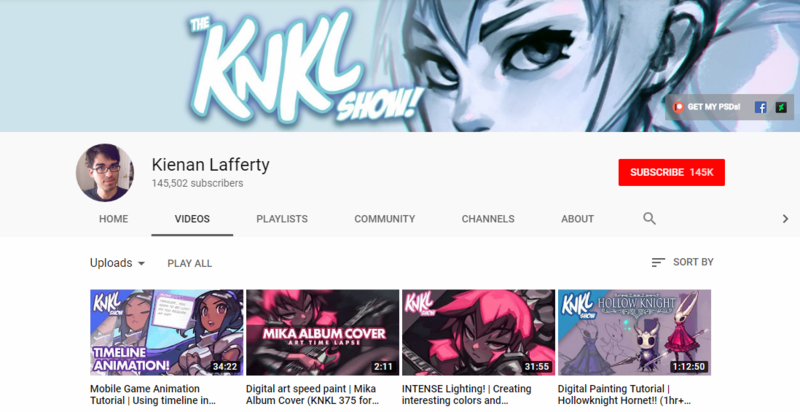 He has been doing concept art for about 14 years professionally, and I wanted to create a channel where people can hopefully get inspired, and use that energy for artwork of their own. Zin Lim, is an artist who travels world cities to teach expressive art: drawing and painting. Making demo videos has been started for using them at my classes or workshops. Cause I wanted every students can watch tiny strokes close enough and for certain techniques that should be visually explained more than once. 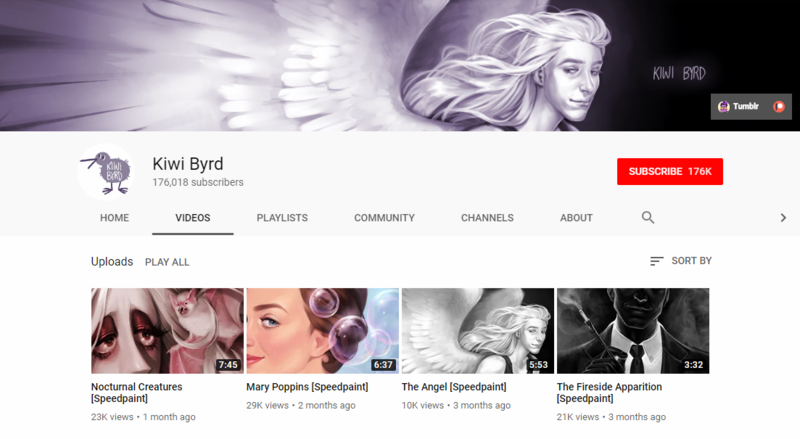 I hope my videos help for expressive artists who are in similar art journey with me for their study or teaching. Or just for refreshing. 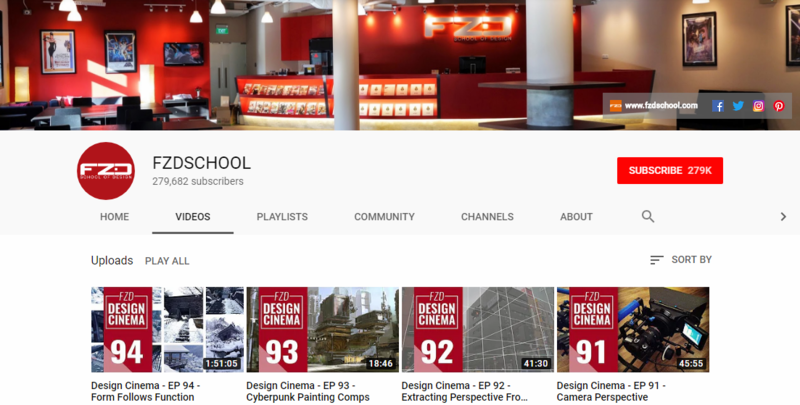 We aim to bring you high quality CG tutorials which are fun and educational. It’s run by Henning Sanden and Morten Jaeger, who are former senior character artists in the film industry in London, having worked on movies such as Pacific Rim, Alien Covenant, Guardians of the Galaxy, Batman V Superman, among many others. 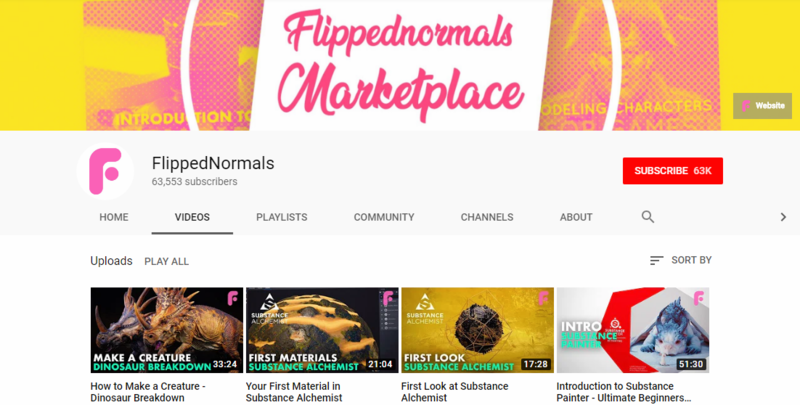 We also provide premium training, where we go in-depth into the topics we explore on this channel. Check out our website for more! 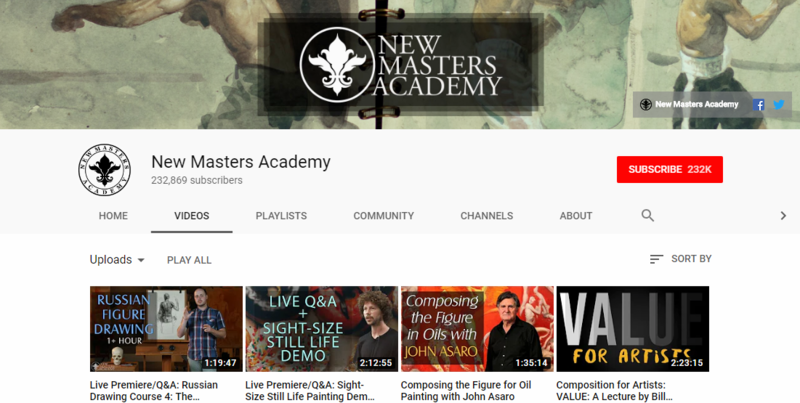 NMA New Master Academy, their online courses are the most worth it so far, but they constantly upload free tuts on their youtube channel. 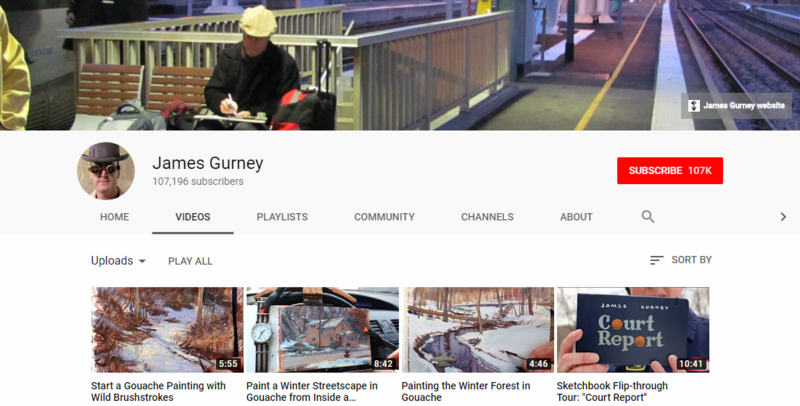 This is the place for insights into drawing and painting by Dinotopia creator James Gurney. 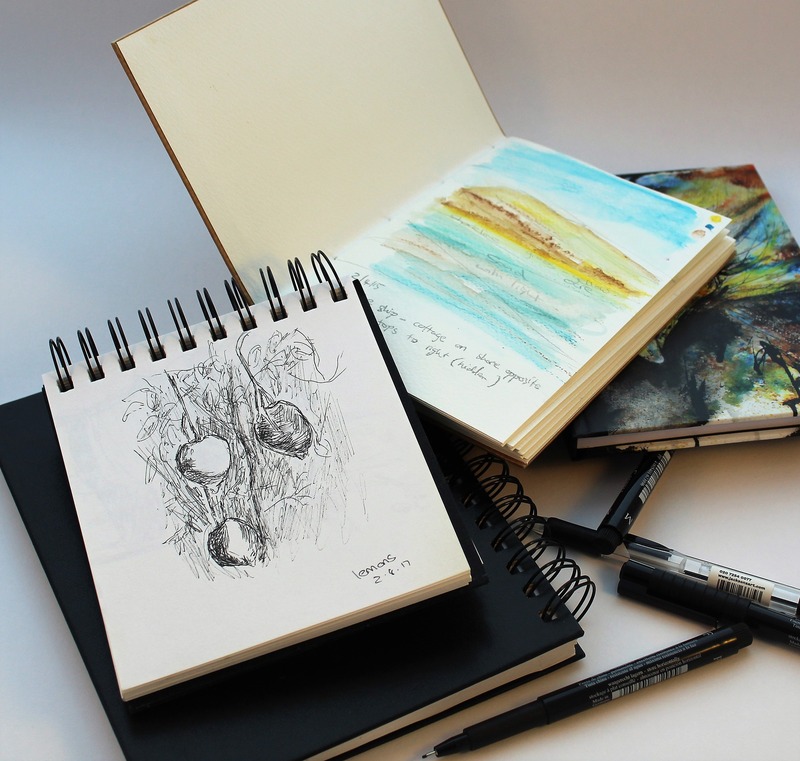 You’ll find practical tips and techniques in oil, watercolor, and other plein-air art media. 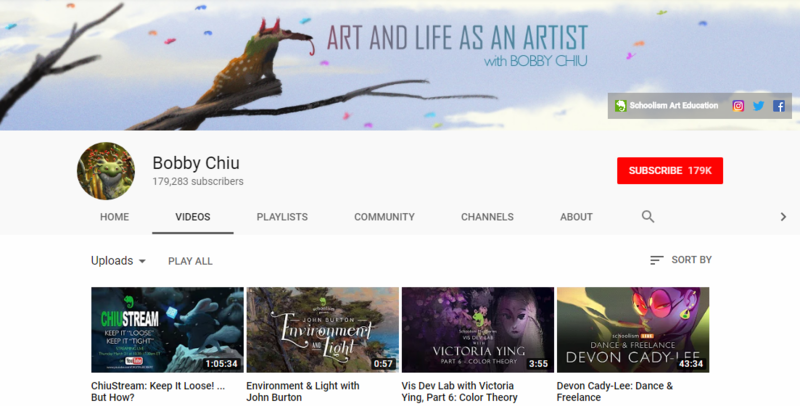 He takes you behind the scenes in the making of concept art and fantasy paintings, and he shares useful methods for painting scientifically-accurate reconstructions of dinosaurs. He’s a concept artist for animated movies, notable clients include DreamWorks, Disney, Blue Sky and Paramount Animation. He also teaches color and design at professional studios and online. 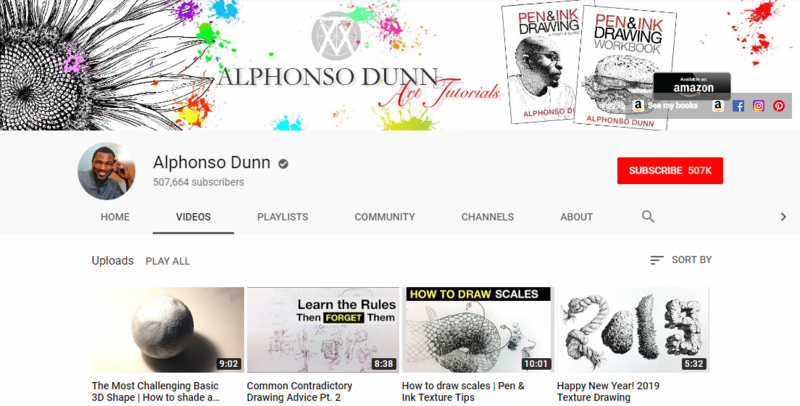 This is where Anthony Jones is going to answer questions and do demonstrations on how to conceptualize and illustrate using ART as your medium.